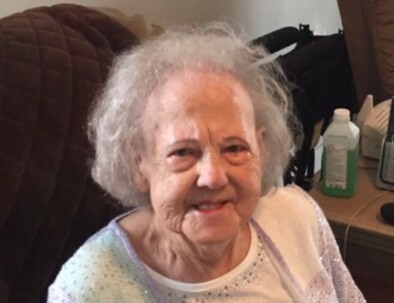 Dessie Buchanan Callahan, age 90, of Big Stone Gap, Virginia formerly of Bakersville, NC went home to be with the Lord, January 27, 2019. She was a native of Mitchell County, NC and a daughter of the late James and Mary Pitman Buchanan. She was a homemaker who loved her grandchildren. Dessie was an excellent seamstress. She attended West End Baptist Church, and previously Cane Creek Freewill Baptist Church. Survivors include: one son; Johnny Callahan (Marena), of Big Stone Gap, Virginia, four grandchildren, and nine great grandchildren. She was preceded in death in addition to her parents by: her husband; Harlow "Bud" Callahan, one son; James Callahan, seven sisters and one brother. A graveside service will be held Wednesday, January 30, 2019 at 2:00PM at Cane Creek Freewill Baptist Cemetery with Marvin Hensley officiating. In lieu of flowers memorials may be made to: Cane Creek Cemetery Fund, 50 Cane Creek Cemetery Rd, Bakersville, NC 28705. Henline - Hughes Funeral Home is assisting the Callahan Family.